Finding parts for the earlier bikes can be somewhat challenging. I had the same challenge a few years ago when I was overhauling my 1992 Heritage. The HD Dealership is not likely to have what you are looking for (though they are a great resources for helping to ID OEM part numbers). There are a lot of independent and aftermarket shops out there, but their inventories can be somewhat limited to what is available for earlier era bikes (hard to believe that 1990 is becoming an earlier era – seems like yesterday). 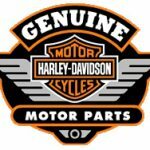 eBay is the swapmeet of the Internet and these are a few sellers I have run across who seem to have a pretty regular inventory of new and used early Sportster parts . americanclassicmotors **Love these guys!!! Great selection, excellent prices, quick free shipping – very helpful!!! diycycleparts – Pieces, parts, nuts, bolts, and other stuff. oddballcyclesupply Need wheel spacers? This guy has them… at a great price. vtc84 NOS Odds and Ends… but probably has something you need. bitterendoldschoolchoppers – Old school builder parts and pieces. paniccycles Lots of stuff for a custom chopper – old school, new school, they got it. 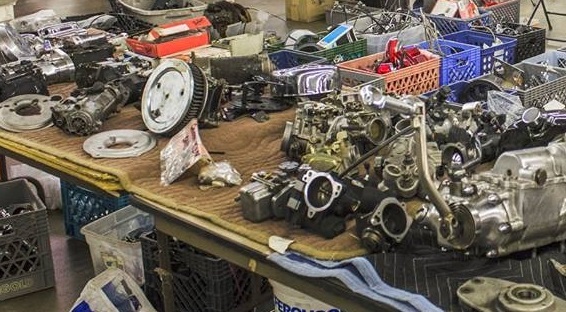 motorcycleguys – Salvaged motorcycle parts and pieces. 48sidevalvesvintagecycleparts Lots of NOS and hard to find parts – especially if you are looking for earlier stuff.